Morelia is the capital of the state of Michoacan and one of the country’s most significant colonial cities. In 1541, Mexico’s first Viceroy, Antonio de Mendoza, named the city Valladolid after the city in Spain where he was born. Following Mexico’s War of Independence, it was renamed Morelia to honor one of the city’s greatest heroes: Jose Maria Morelos. 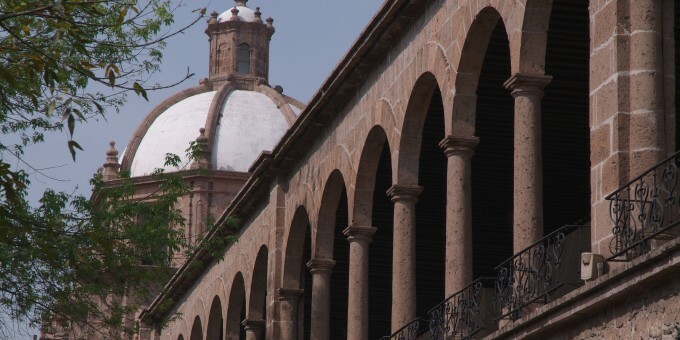 Located about 200 miles west of Mexico City, Morelia is colonial with an aristocratic feel. The city is filled with elegant Spanish Colonial architecture featuring pink stone and baroque styles. Many areas in this capital city have remained true to their colonial heritage because Morelia, like many colonial cities in Mexico, has strict building regulations to ensure that the original look and feel of the city is well-preserved. The center of town hosts a beautiful pink stone cathedral—one of the finest in Mexico—with twin towers over 200 feet high. Morelia has over one and a half million residents, a large university, and many opportunities for high-end art, music and other cultural experiences such as museums, theater and exhibits. Morelia also has a number of good language schools where people from all over the world come to study for extended periods of time. Nearby Morelia is the colonial town of Patzcuaro. Just 45 minutes by highway from Morelia, Patzcuaro is a charming town with a mixed colonial and indigenous feel. Although Patzcuaro is close enough for a day-trip, it is best experienced with a stay over of at least one night. The state of Michoacan is host to the Monarch Butterflies, which arrive from the USA and Canada in early November and stay through the end of February. Domestic and international tourists alike come to see the butterflies which cover the trees with a bright flaming orange hue at the sanctuary near the town of Angangueo. Although it’s about a 3-hour drive from Morelia to see the Monarchs, it’s an amazing experience. See Key Attractions, below, for more details. An impressive pink stone cathedral dominates the main plaza, which is surrounded by beautiful colonial buildings. The cathedral is said to have taken over 100 years to build and is one of the finest (if not the finest) in all of Mexico. The cathedral’s twin towers, large organ and sculpture of the Crucifixion (Senor de la Sacristia) are worth a visit. One of Morelia’s most prominent architectural features is the El Acueducto (the aqueduct), which is an artificial channel that brings water from one location to another. Morelia’s aqueduct runs along dozens of colonial arches that stretch for over a mile across the city. You’ll probably travel under at least one of the arches while you’re in town, so you can’t miss it. Palacio de Gobierno (Government Palace), which is about a block east of the cathedral, and today boasts fine murals that tell the history of Michoacan and Mexico. Palacio Clavijero is right next to the tourist office and about 2 blocks west of the cathedral and has a pink stone patio. The Palacio Clavijero was a school, a warehouse and a prison before hosting the state government offices as it does today. Colegio de San Nicolas de Hidalgo, which is between Palacio Clavijero and the cathedral, hosts a statue of Miguel Hidalgo, one of the heroes of Mexican independence, amid a beautiful courtyard. Plaza del Carmen is a few blocks north of the cathedral around the corner from the Museo de Arte Colonial and has numerous cultural performances. It’s also around the corner from the Museo de la Mascara (mask museum) which is worth a visit as well. Templo de Capuchinas is a few blocks south of the Plaza Valladolid and is an adorable little baroque church that is best seen between 8 am and 9 am or 5 pm and 6 pm during mass. Morelia has several museums that are worth visiting to get an insight into the history and social evolution of this part of Mexico. Casa Museo de Morelos is a converted house, the place where Morelos lived as an adult. Museo del Estado (State Museum) displays the archaeology and history around Morelia on the lower level and contemporary life in Michoacan on the upper level. Museo Regional Michoacano (Regional Museum of the State of Michoacan) displays pre-Hispanic and colonial artifacts, contemporary art from local artists as well as the region’s fauna. Museo de Arte Colonial displays a selection of religious paintings from the 18th Century. Just 45 minutes by road southwest of Morelia is the town of Patzcuaro. This beautiful town with its indigenous feel makes a perfect day-trip from Morelia. And if you fall in love with it as many people do, you can always return easily, or perhaps use Patzcuaro as a base to explore the areas around it more fully. 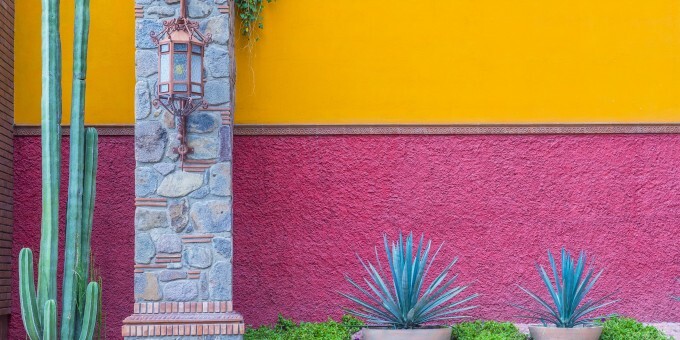 Read the Mexperience Guide to Patzcuaro for full details. Michoacan’s Butterfly Sanctuary (Santuario de Mariposas El Rosario) is situated high up in the mountains of north-eastern Michoacan. The Monarch Butterflies arrive in Mexico from the USA and Canada in early November, and you can see them here until late February or early March. Despite the 3 hour drive from Morelia, you’ll find the trip is worth every minute of the journey. The sanctuary is near a small colonial town called Angangueo, near the village of El Rosario (thus the name). For a small entry fee, you can hike uphill for about an hour to catch a glimpse of these amazing butterflies. The best way to see the butterflies is by means of an organized tour, arranged via travel specialists who know the area and are experienced in taking small groups to the sanctuaries. To learn more about these remarkable insects, their migration and over winter in Mexico, connect to our complete guide to Monarch Butterflies in Mexico. By Air – You can fly to Morelia from the USA and other points in Mexico including Mexico City, Guadalajara and Leon. Morelia has become extremely well-connected by air from serveral US cities in recent years. Mexicana Airlines flies non-stop between Dallas Forth Worth and Morelia and between Los Angeles and Morelia. Continental Airlines also flies from Los Angeles to Morelia, and from Houston to Morelia. The Houston connection is particularly useful for people connecting from other US cities, Canada and Europe as Houston is Continental’s principal hub. The airport is about 15 miles away from the city center and taxis will be standing by to take you into town when your flight arrives.For detailed information about flights and flying, see the Mexperience guide to Air Travel in Mexico. By Bus – You can travel to Morelia on a luxury bus from Mexico City – the trip takes around 4 hours. The buses depart from the Western Bus Terminal (Terminal de Autobus Poniente) – and are frequent and plentiful. For detailed information about bus transportation read the Mexperience guide to Bus Travel in Mexico. By Car – Driving to Morelia from either Guadalajara or Mexico City (Morelia is equidistant from these two cities, the drive takes 3-4 hours) is fairly easy using Highway 15, a high-speed toll road. See additional information about Driving in Mexico and Mexico’s Toll Roads on Mexperience. Feria de Morelia – (Morelia’s Annual Fair) features Mexican crafts and agriculture from all over Michoacan as well as dancing, music, local foods and parties. Lasts for a month between April 29th and May 30th. Feria de la Guitarra – (International Guitar Festival) attracts visitors from all over the world. Early Spring—check with the local tourist office for exact dates. Feria del Organo – (The International Organ Festival) features the organ at the city’s Cathedral which has over 4,600 pipes. First two weeks in May (runs in tandem with Morelia’s Annual Fair). Festival Internacional de Musica – (International Festival of Music)— runs for two weeks during the final week of July and the first week of August. Fiestas Patrias – (Independence Day Parties and Celebrations)—these are especially lively here as Jose Maria Morelos was one of Mexico’s Heroes during the War for Independence. September 16th. Cumpleaños de Morelos – (Jose Maria Morelos’ Birthday) is celebrated with parties, fireworks and parades on September 30th. Exchanging Currency: Banks with ATM machines can be found throughout the downtown area of Morelia. During business hours, they and the local Casas de Cambio will buy traveler’s cheques and cash from you as well. For detailed information about exchanging and managing your money, read the Mexperience guide to Money in Mexico. Anaho. A popular Morelia restaurant—Don’t be afraid of its promise of Hawai’ian flavors in its pastas, meats, salads and seafood, it’s very good. At Casa de La Loma. Emiliano’s has decent Italian food as well as steak. On Artilleros de 1847. Los Arraigos. Serves Michoacan specialities as well as paella on Sundays. Across the street from Palacio Clavijero on El Nigromante. Madrid. Comes highly recommended as the place to go for wine and Spanish tapas in Morelia. Down the street from Hotel Alameda on Guillermo Prieto. Amazonias. Serves Brazilian-style, grilled meats on “swords.” Avenida Camelinas. Trico cafeteria. Particularly good for breakfast. On the southeast side of the Cathedral. Langostiko’s “Beach” Restaurant. Serves good seafood and drinks in a laidback atmosphere. On Avenida Santamaría, a few blocks south of Lázaro Cárdenas. Morelia has a selection of good night spots to suit those looking for culture and those looking for an all-night party! Locally Hosted Parties – Check with yours and other local hotels about public parties they may be hosting during your stay. Traditional Mexican theme night parties are popular with the locals, and there’s a chance you could join a really special night out – the real Mexican way, and certainly on the eve of September 16th – Mexico’s Independence Day! Hosted parties usually include dinner, dancing, a show and / or live music (usually authentic Mexican Mariachis) plus all drinks for a fixed price and usually provide excellent value for money! Ask at your hotel to find out what is happening locally. Night Bars / Restaurants – There’s a good variety of late night entertainment in Morelia to keep you happy and entertained into the early hours. You can buy good quality, locally made and hand-crafted Mexican craftwork in and around Morelia and the surrounding towns and villages. The Mercado de Artesanias features craft works from almost every main town and village in the state: each town/village specialises in a certain type of craft. The market provides you with a convenient opportunity to buy genuine crafts made in the surrounding towns and villages; however, if your time allows, you should also consider visiting the surrounding area to get a full appreciation of the way the materials are worked and the craftworks created. Don’t miss the opportunity to buy some traditional Mexican confectionery which is a specialty in this state (Michoacan) – and sold all over the Mexico. Two sweets which you should definitely try are: Chongos (made from milk, honey and cinnamon) and Ates, which are made from fruit paste. You can buy the local confectionery from market stalls, shops and other trading outlets all around this area. Morelia, standing at an altitude of around 1,980 meters (6,500 feet), enjoys year-round, warm and dry weather. The climate is spring-like and thus ideal for taking part in a variety of outdoor activities and for taking in the local culture, architecture and scenery. The rainy season is April thru November. As with most monsoon areas, rains tend to be fierce and brief in the late afternoon, leaving the evenings dry and cooled off. Winters here can be chilly (November to February) – so bring warm clothes during these months.